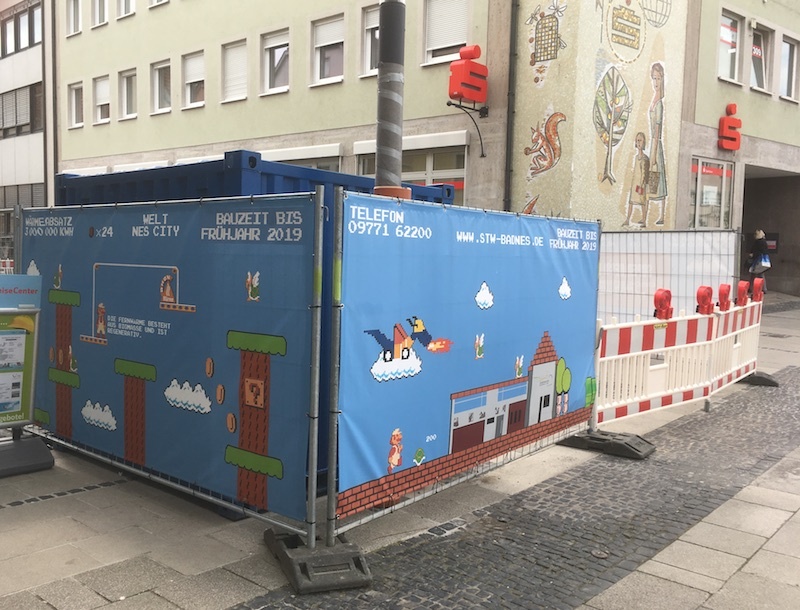 I was impressed to see that our old hometown, which was undergoing quite some extensive construction work under the streets of the historic old town to modernise its gas lines and feed it from a biofuel processing plant, had been creative enough to canvas over the site with a Super Mario Brothers’ theme—sort of like the neat frieze of refrigerator magnets that my sister had given us a few years back. Each panel represented a different level and told about renovation challenges, timelines and the benefits that would eventually materialise. 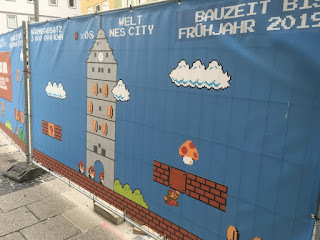 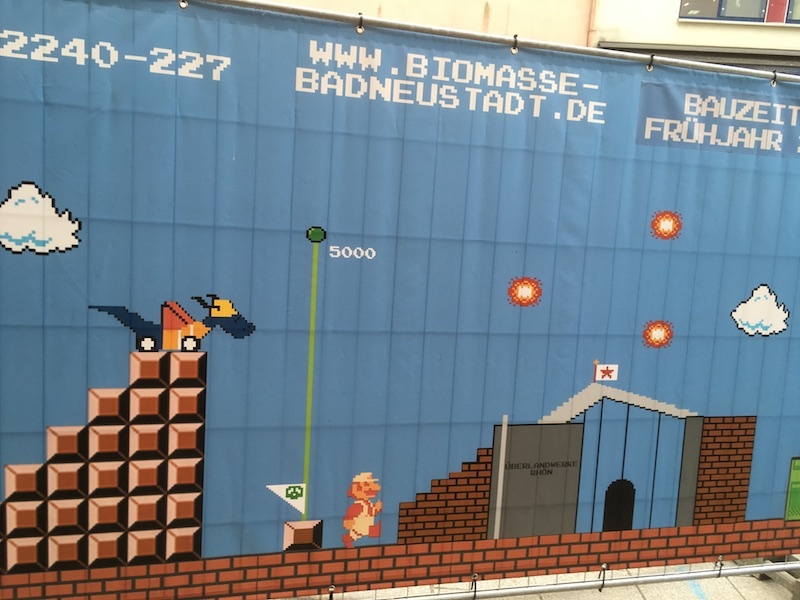 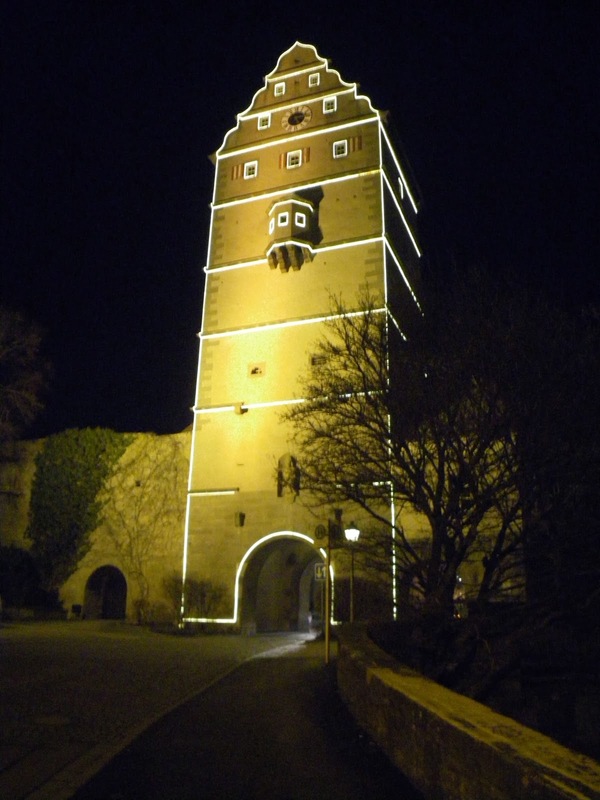 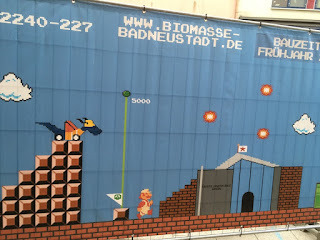 Mario’s companion is a sea-monster called Nesi—which is also the namesake for the fleet of buses that comprise the local public transportation (NES being the license plate designation for that county—Neu Stadt an der Saale) and the video game segment even incorporated the landmark gate towers of the Altstadt.